There is just a day left before you move and you probably already feel it’s hard to say goodbye to your place and neighbourhood. But focus – there are still several things you should tick off done before you leave. If the refrigerator is moving with you, make sure to empty and clean it. Do not forget to defrost the freezer. Allow the freezer and the refrigerator to dry. Check if you have all necessary documents. Check to make sure you have all the documents and items that you’ll be taking with you: passport, directions, maps, cash, new keys, rental agreement, etc… Keep all these within easy reach to be sure they won’t get lost. Disassemble last pieces of furniture. Those include beds, chairs, etc… You’ll have to sleep on just the mattress for your final night to save time in the morning. Arrange to move personal and valuable items. If you are doing your own packing, make sure everything is ready to go before moving day. Put aside essentials for move day. Unplug your computer, peripherals, stereo, and audio/video equipment, so that they will be at room temperature on moving day. Pack them up. Tidy up the rooms and clear the garage, storage or shed. Empty the bins. Check closets, cabinets, and storage lockers for any items left. Prepare cash for payment and tips. If you haven’t already paid your mover with a credit card, prepare cash for payment and tips. 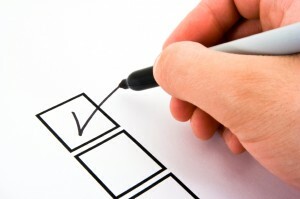 This entry was posted in Moving checklist on August 27, 2014 by Izzy Removals.